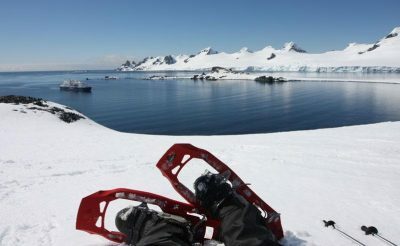 The Peninsula offers dramatic scenery and the greatest variety of wildlife in Antarctica. 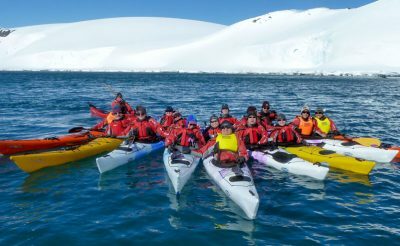 This adventurous voyage also offers an unequalled introduction to the stunning scenery of the Great White Continent. 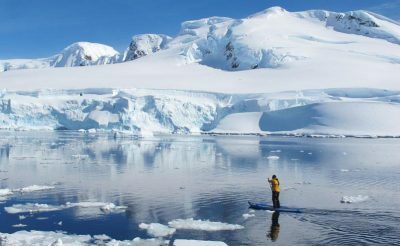 During the austral summer, large areas of the Peninsula are ice-free making exploration possible and affording truly amazing photographic opportunities such as curious penguins, seals hauled out on ice floes and intricate ice sculptures. With routes dictated by sea, ice and weather conditions, no two voyages are the same - adding a real sense of adventure to your expedition. 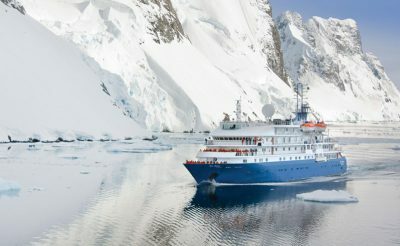 Offering the classic Antarctic experience, this voyage is both affordable and well-paced making it our most popular choice for first-time Polar travellers. 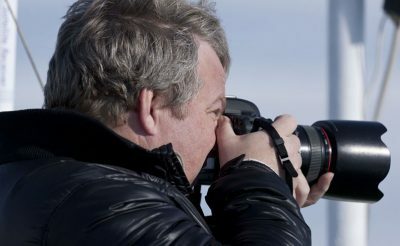 Select departures will be accompanied by leading experts, from renowned scientists to professional photographers - view the 'Special Interest' section for details. Antarctica was breathtaking. The ship and crew were great and very informative but always approachable and friendly. I can thoroughly recommend this trip to anyone with a sense of adventure. 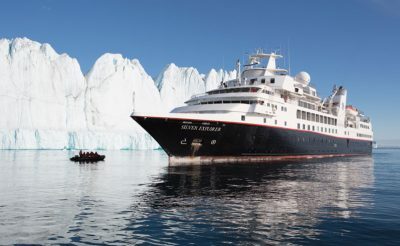 Book your Antarctic 2019/20 voyage now to receive up to 25% discount on selected voyages and cabin types. 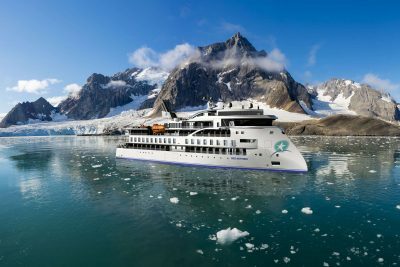 Book your 2019/20 Antarctic expedition aboard the Greg Mortimer and save 10% per person across all cabin categories. 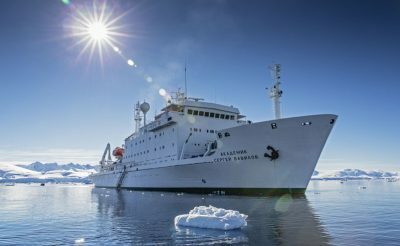 Book your 2019/20 Antarctic adventure now to make huge savings on selected voyages aboard the RCGS Resolute, Akademik Ioffe and Akademik Vavilov. 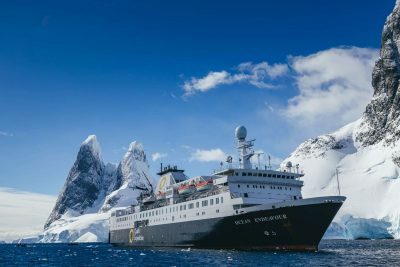 Book a select Antarctic 2019/20 voyage aboard the M/V Plancius or M/V Ortelius and receive free activities and reduced rates. 27 Dec 2019 11 days Island Sky £8,842 - Waitlist only! 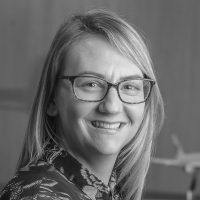 Special Interest departures - please refer to 'Special Interest' section for more details. Note the inclusions for this cruise are dependent on the vessel chosen, though the following are applicable to all. 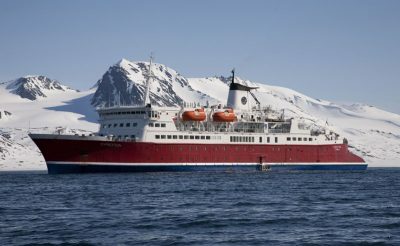 Expedition jackets are NOT provided on the MV Ushuaia, Plancius, Ortelius or Hondius. 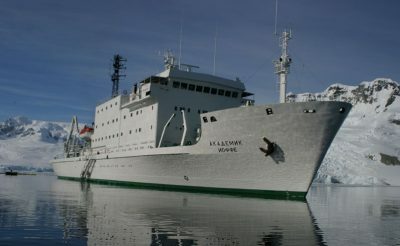 A jacket is loaned for the duration of the voyage on the Akademik Ioffe, Akademik Vavilov and RCGS Resolute. On all other ships you will be provided with an expedition jacket to keep. With a population of more than 63,000, Ushuaia is the southernmost city in the world. Although the city has grown during the past few years, it retains an easygoing and accessible feel. Surrounded by the sea to the south and the mountains to the north, Ushuaia is a spectacular departure point for your Antarctic cruise. Overnight at a hotel in Ushuaia. After embarkation in the late afternoon, you will cruise down the historic Beagle Channel towards open sea. Stay on deck to keep watch for seabirds, penguins and rainbows. Prepare for rough water, but do not be disappointed if your crossing is smooth sailing. The Drake is always changing and provides excellent opportunities for spotting seabirds, including many species of albatross and petrels. 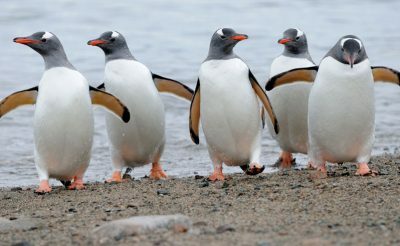 Explore the highlights of the Antarctic Peninsula. 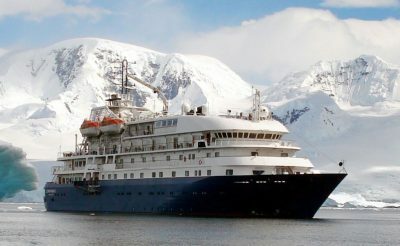 Many factors play a role in shaping the expedition's itinerary, including sea, ice and weather conditions, but the plan is to take Zodiac excursions from the ship at least twice a day. You will have the opportunity to explore local bays, channels and landing sites. 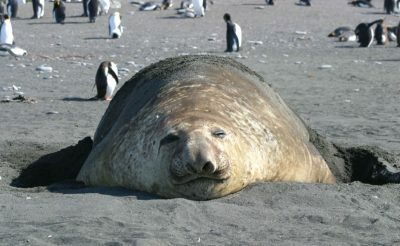 Visit penguin rookeries, scout for humpback and minke whales, and search for a number of southern seal species, including the cunning leopard seal. Perhaps you'll feel salt spray on your face as the Zodiac weaves in and around grounded icebergs in Pleneau Bay. You could scramble to the top of a craggy ridge on Danco Island or visit the remote British post office at Port Lockroy. Listen to the boom of a calving glacier in Neko Harbour or sit quietly on a pebble beach as penguin chicks squabble around you. If you’re feeling brave, take to the icy waters for a memorable Polar Plunge! Each day will be different, with your Expedition Team on hand throughout to entertain and educate you about this fascinating part of the world. Arrive back in Ushuaia this morning and disembark, ready for your onward adventure. 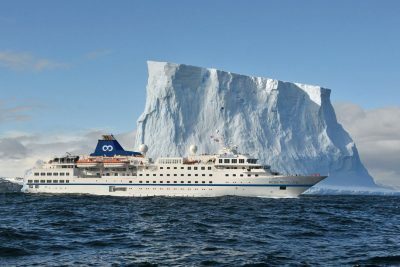 The above sample itinerary is based on the 11-day voyage on the G Expedition. Other departures may vary in duration and routing, ie alternative embarkation or disembarkation ports, or do not include the pre-voyage hotel night. Please contact us for specific details. 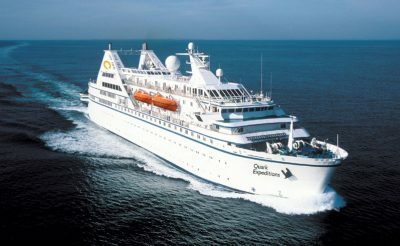 The Ocean Endeavour is a bright and spacious purpose-built expedition ship, with excellent facilities, a range of optional activities and a focus on health and wellbeing. 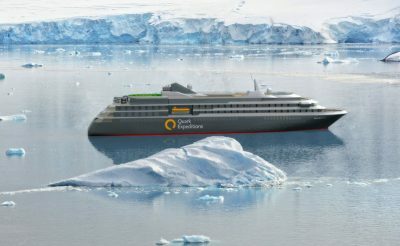 One of the fastest ships in our fleet, the Ocean Diamond is also the first Carbon Neutral polar vessel, with all emissions being offset. 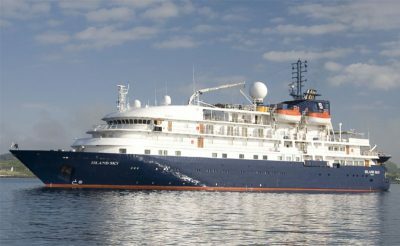 The ice-strengthened Hebridean Sky is an ‘all suite’ vessel offering a classic expedition cruising style, combined with superior accommodation and an exceptional level of service. One of our smallest ships, the Polar Pioneer offers traditional expedition voyaging with a range of optional adventure activities. This all-suite vessel couples adventure with spacious accommodation and a friendly atmosphere. 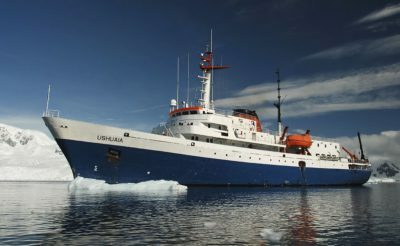 A former scientific-research vessel, the Ortelius offers the classic small ship experience. 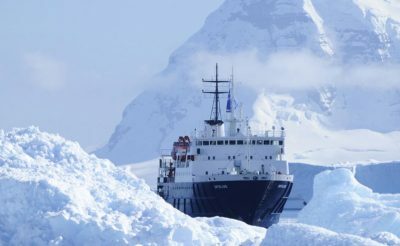 New for 2019, the M/V Hondius is one of the strongest vessels of its category in the polar regions. 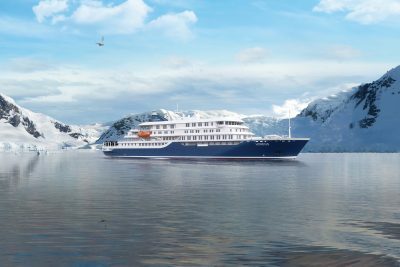 The luxurious Silver Explorer is purpose-built for expeditions in some of the most remote waters in the world, including both Polar regions. 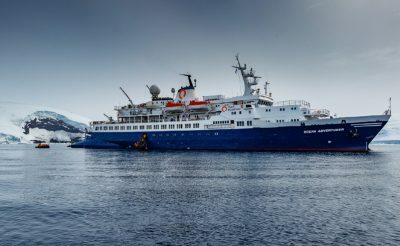 The World Explorer is a new state of the art, purpose-built expedition vessel, among the fastest and most luxurious in our fleet of small ships. 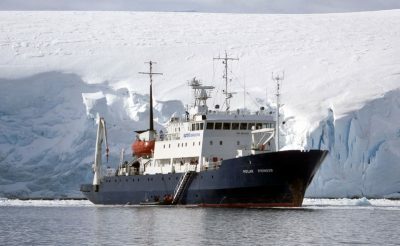 A former research vessel offering affordable Antarctic voyages, the M/V Ushuaia is small, simple and comfortable. 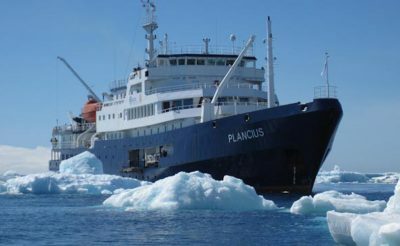 The M/V Plancius is a traditional ex-research vessel, with proven experience in icy waters. 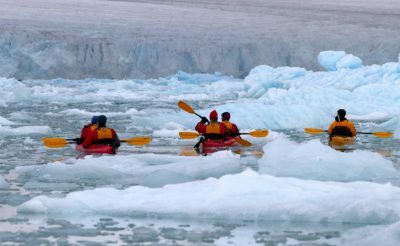 Paddle amongst icebergs for a new perspective. 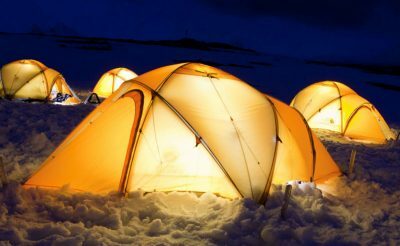 Experience a night under the polar sky. 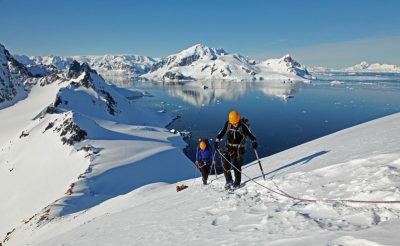 Enjoy spectacular views as you scale the heights of Antarctica. 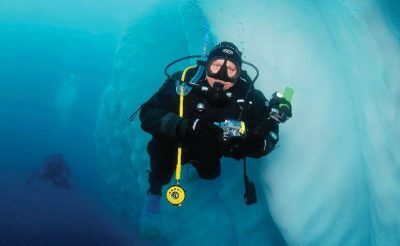 Explore an icy underwater world. Master a new skill and enjoy the opportunity to explore remote corners that would be inaccessible by foot. 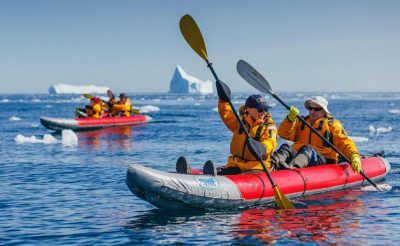 Explore the polar region on a sit-on-top kayak. These special interest itineraries will visit known whale feeding grounds along the Antarctic Peninsula. 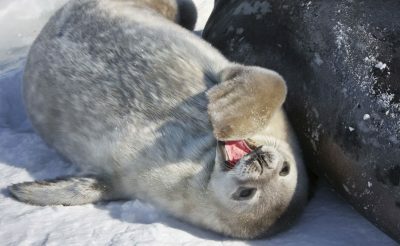 These areas are the focus of long-term research projects by the Australian Antarctic Division's Marine Mammal Centre, the University of California, and the California Ocean Alliance. Several world-renowned cetacean experts will be joining these departures, offering the chance to observe their scientific fieldwork. They will share unique underwater footage and scientific data and interpret the behaviour, migration characteristics and feeding patterns of the whales. During this voyage you can help track whales and collect data for cutting edge marine mammal studies with the on-board whale expert, Annette Bombosch PhD. 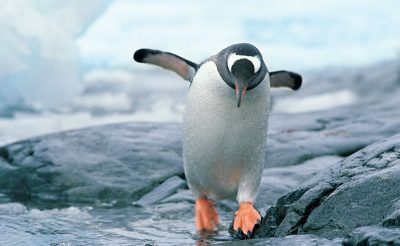 Journey to the bottom of the world, through a realm of creaking glaciers and vast icebergs in search of the famous emperor penguins.